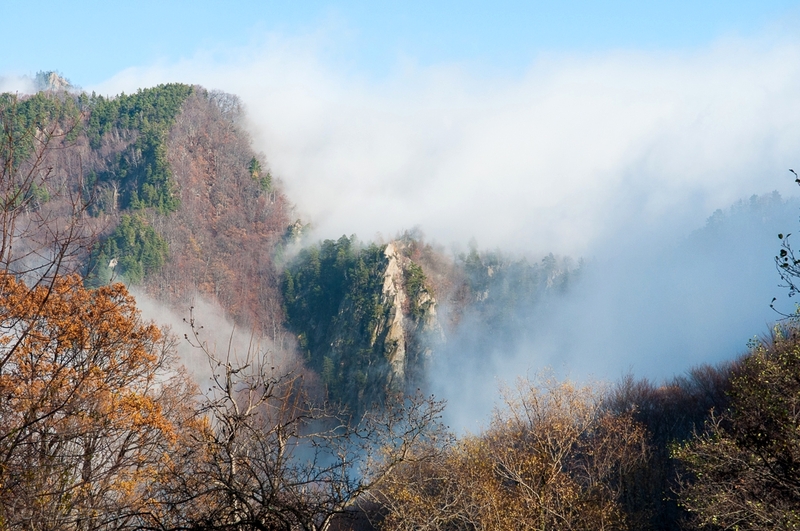 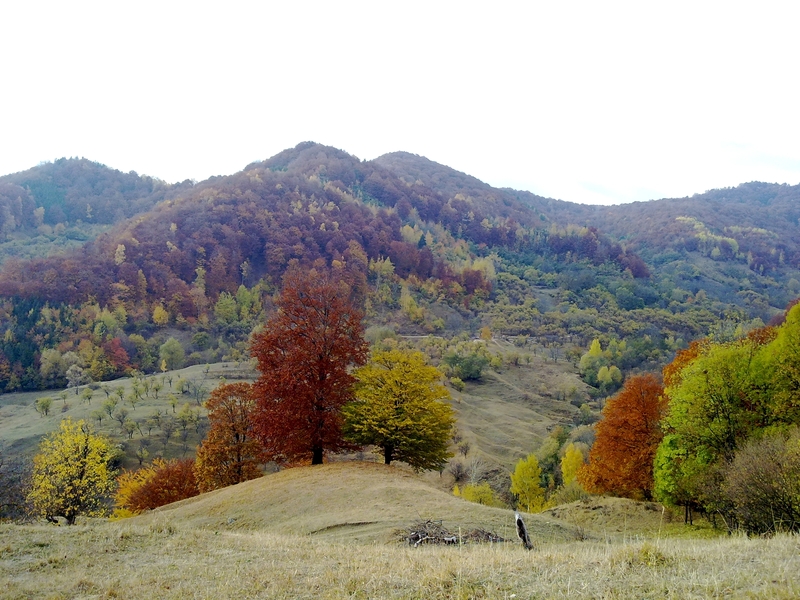 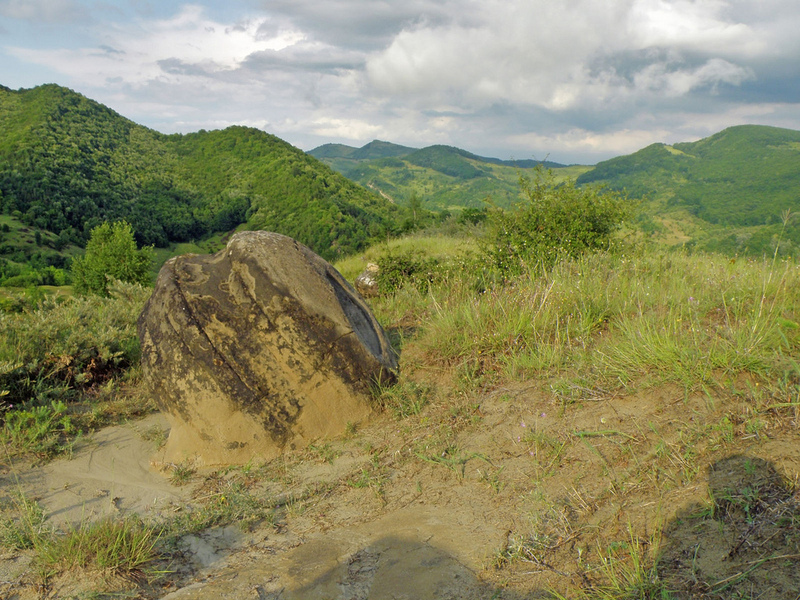 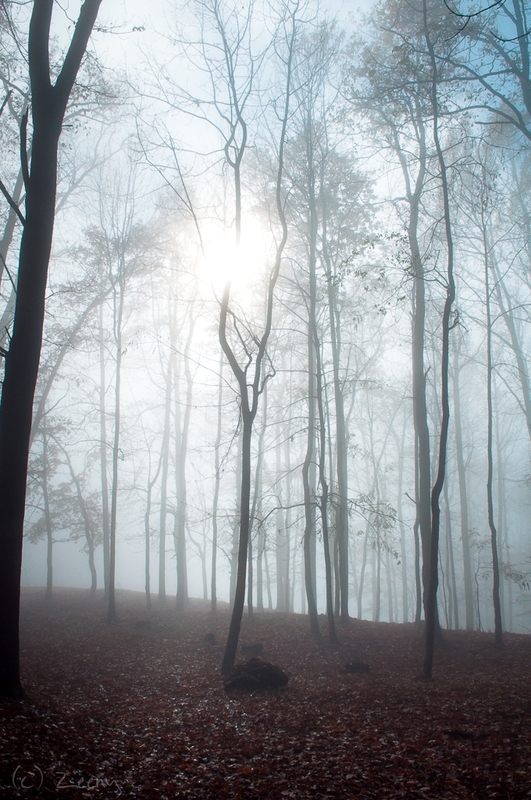 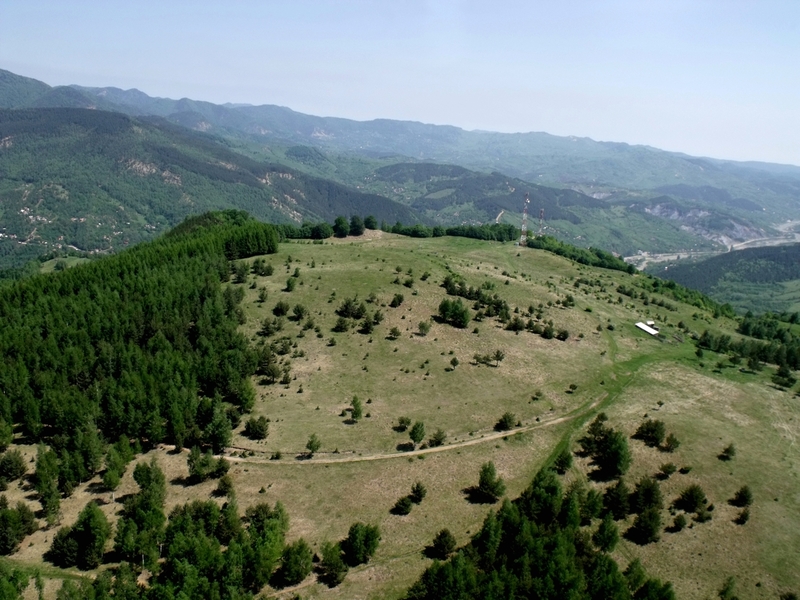 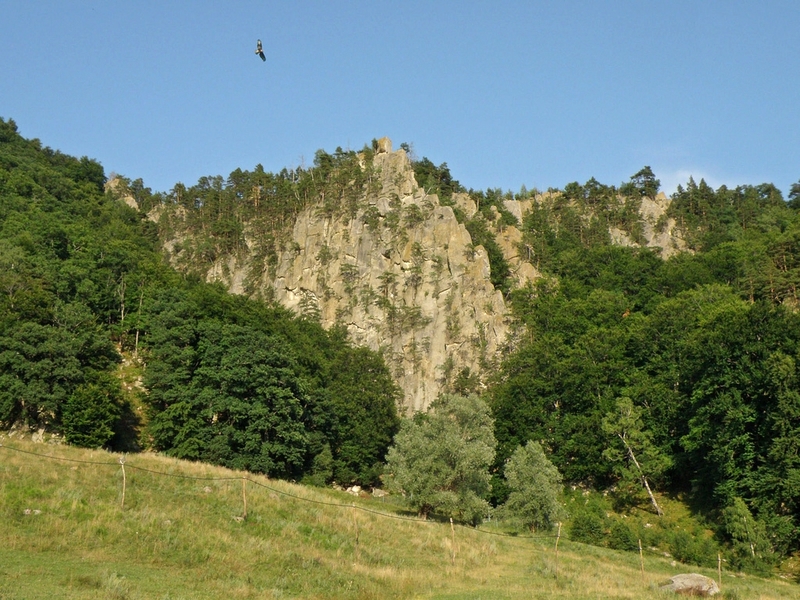 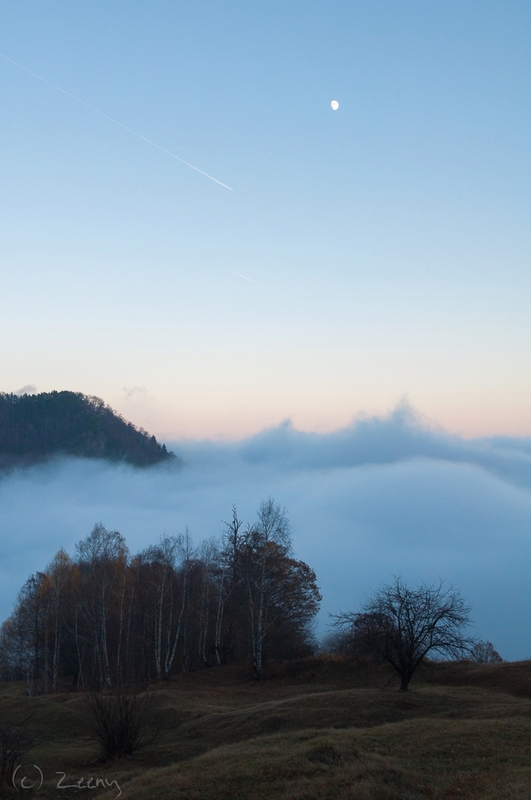 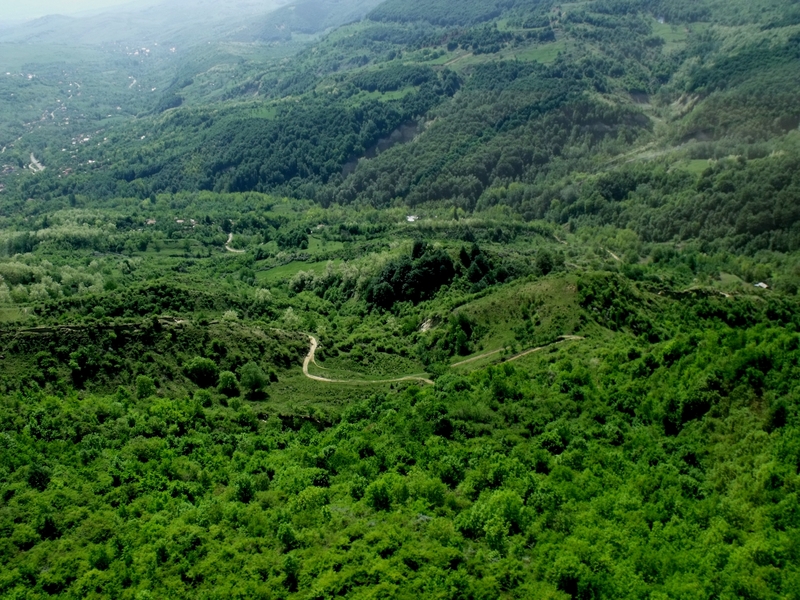 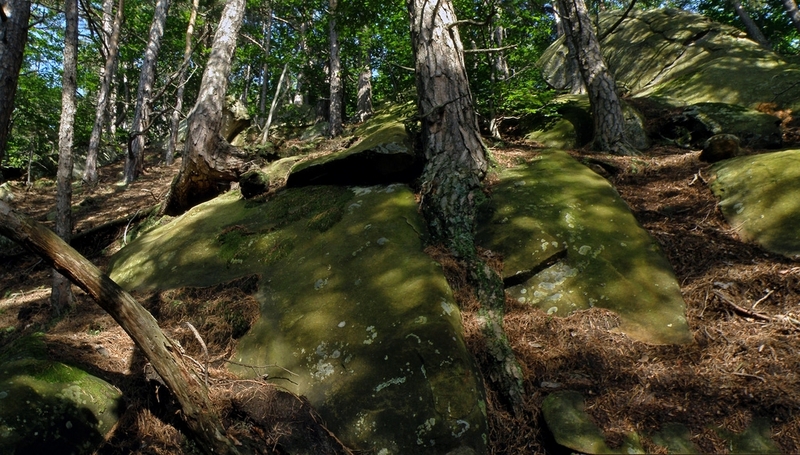 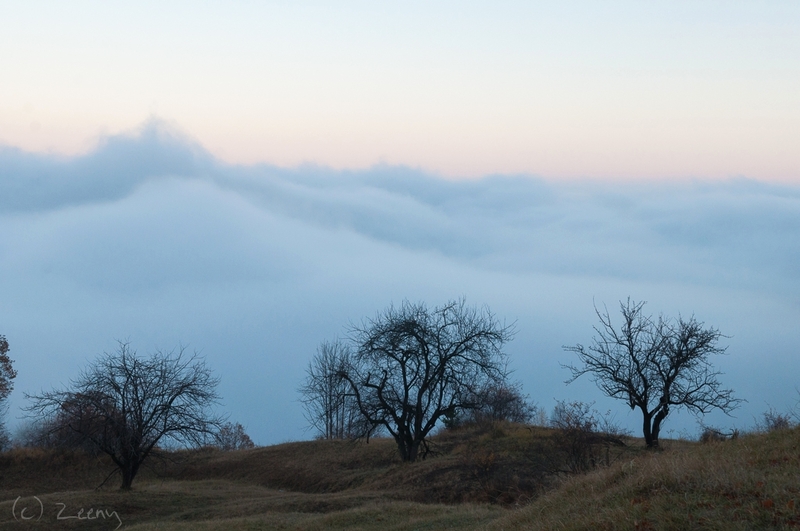 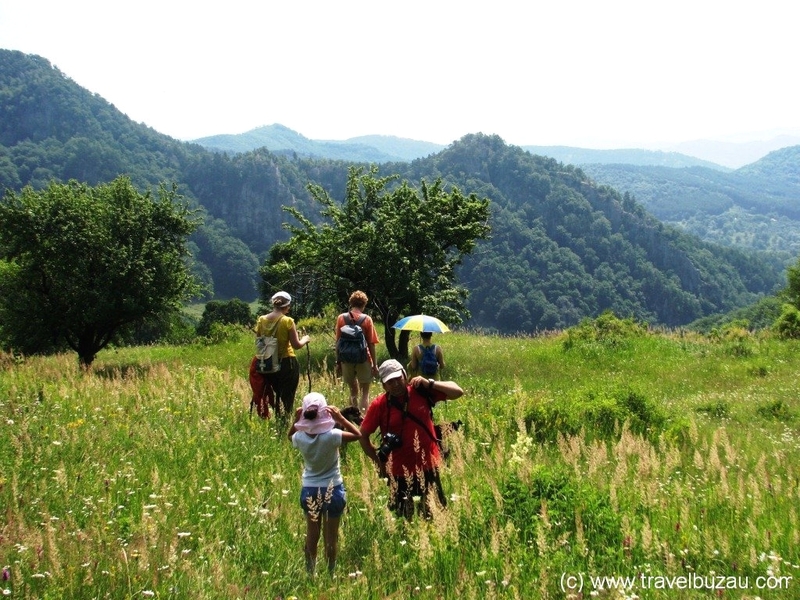 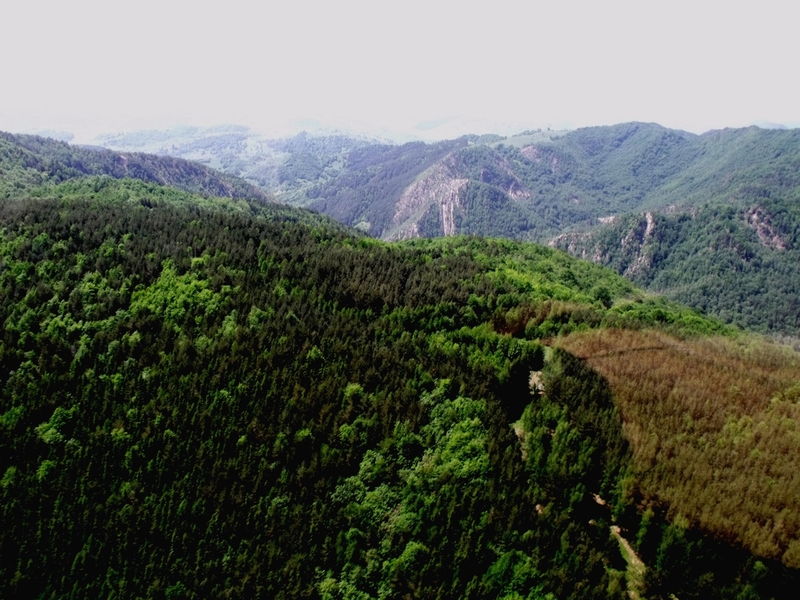 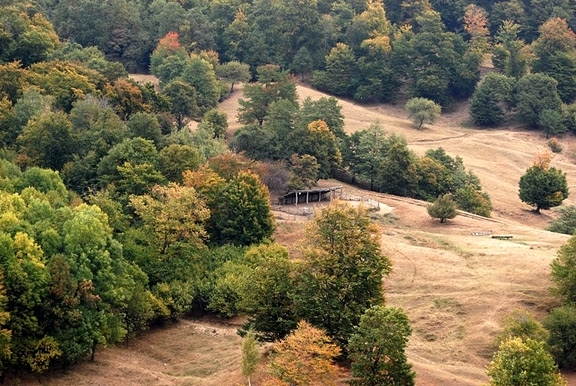 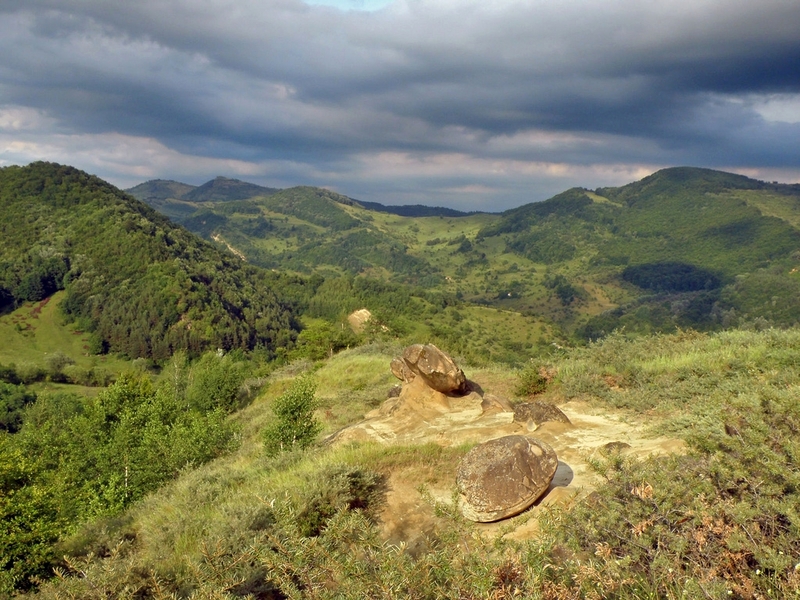 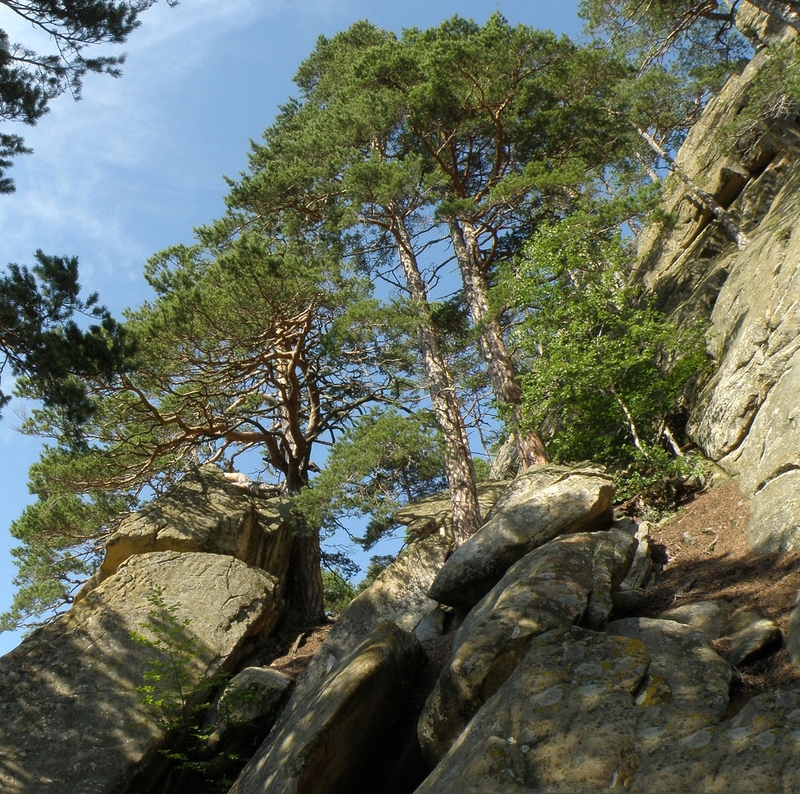 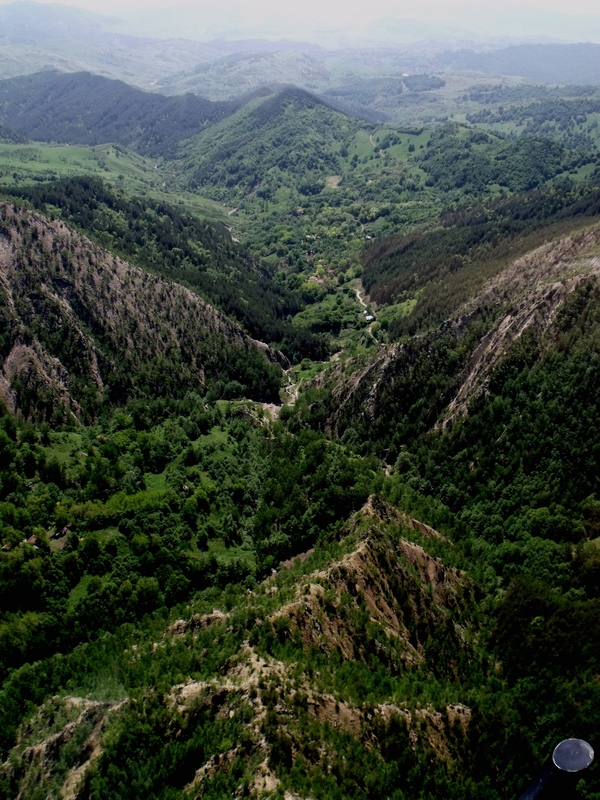 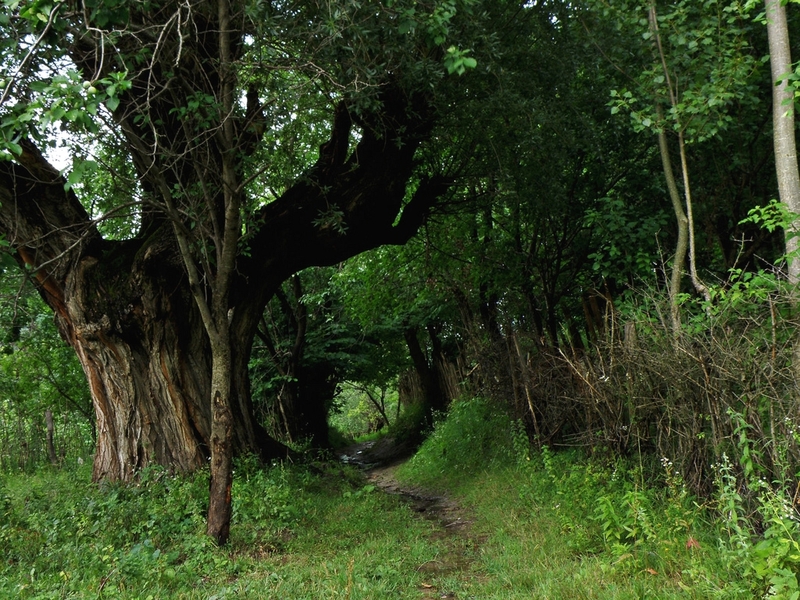 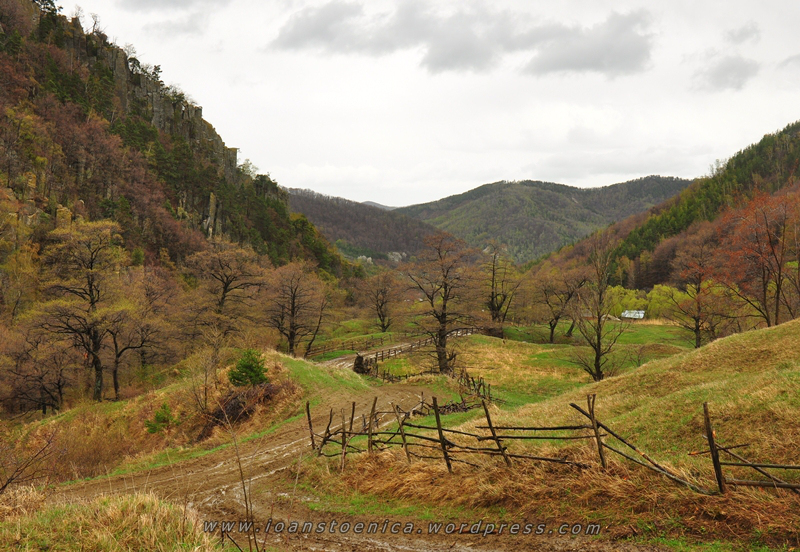 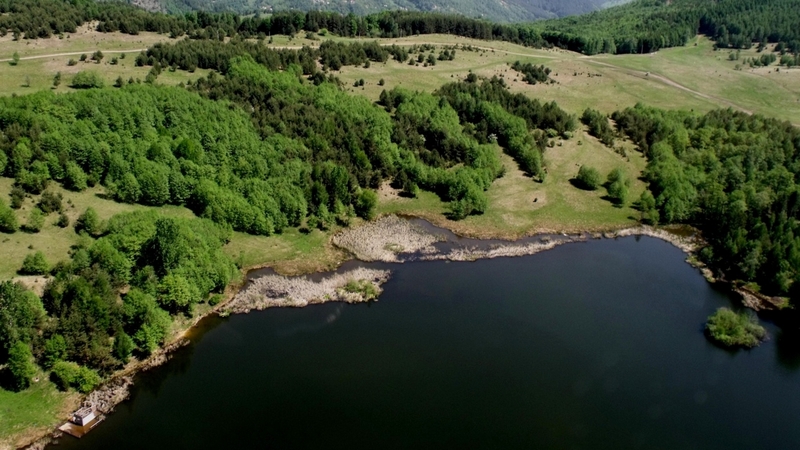 The dense and unspoiled forests of Buzau mountains (in S-E Carpathians) hinders old caves that tell stories of the Dacians and the first Christian missionaries. 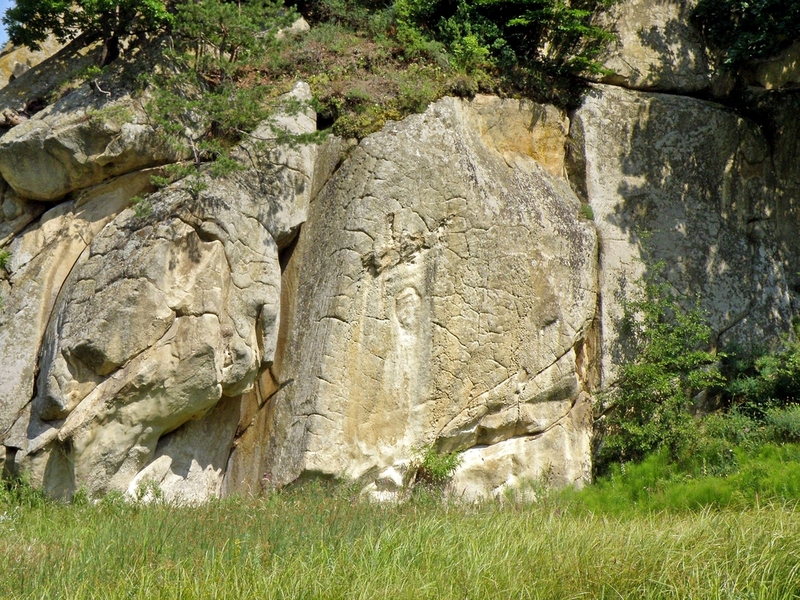 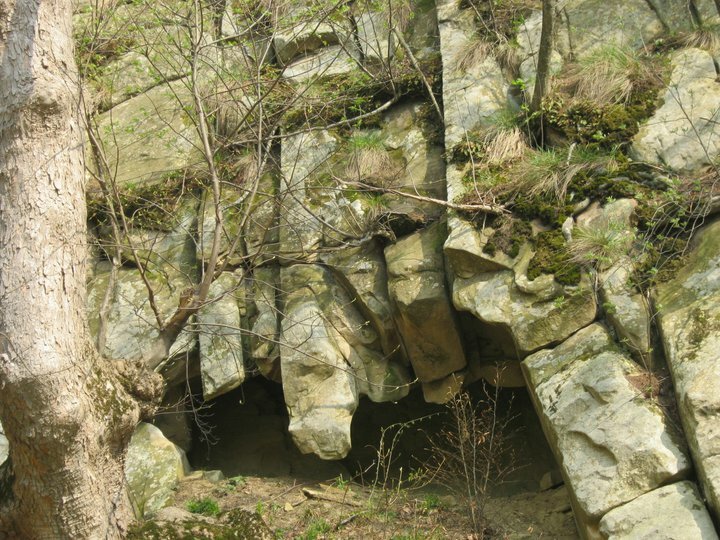 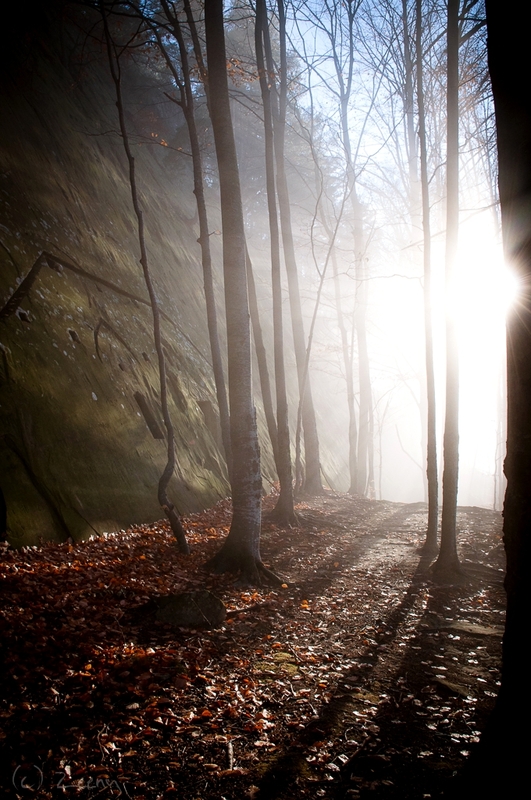 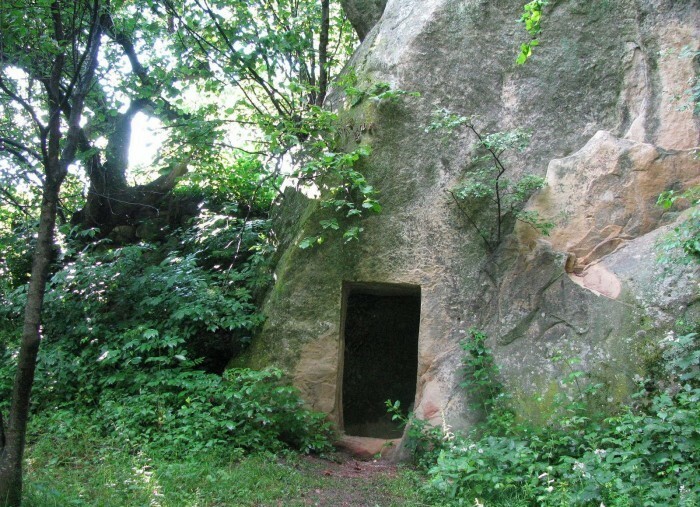 Caves (such as Alunis) are dated back to the Getae-Dacians which, by the inscriptions on the walls, are presumed to have been a sacred perimeter where Dacians venerated the Sun and Water. 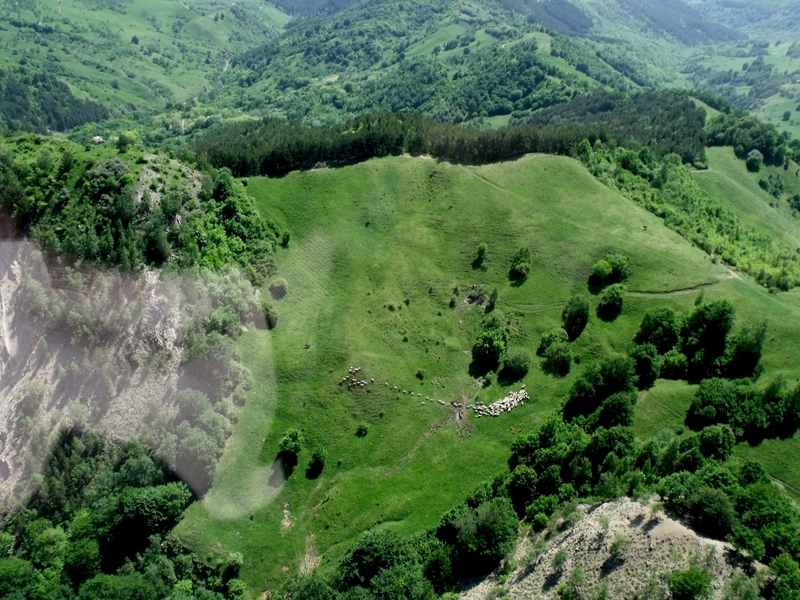 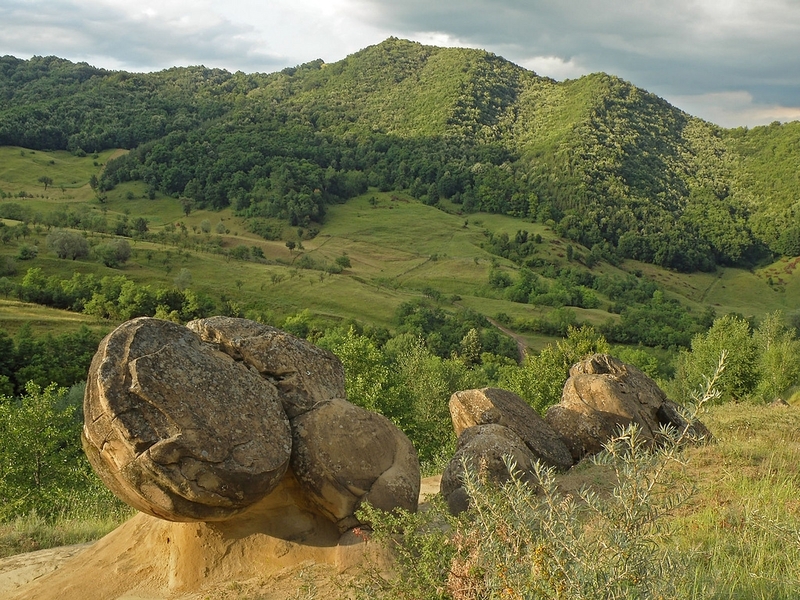 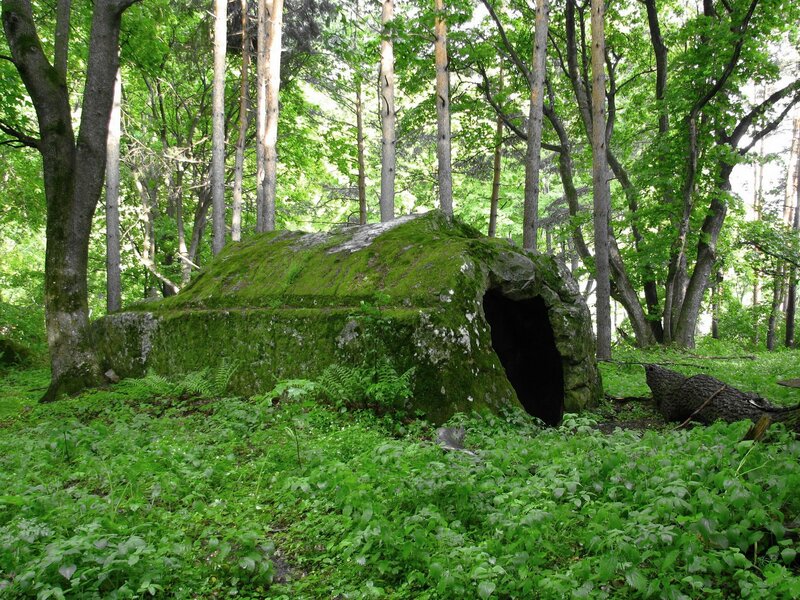 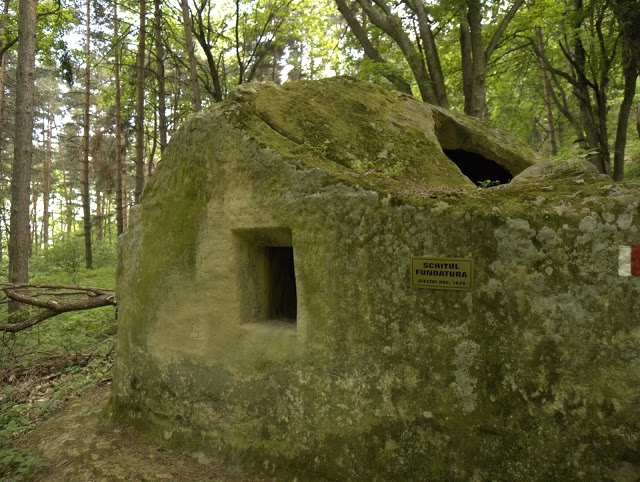 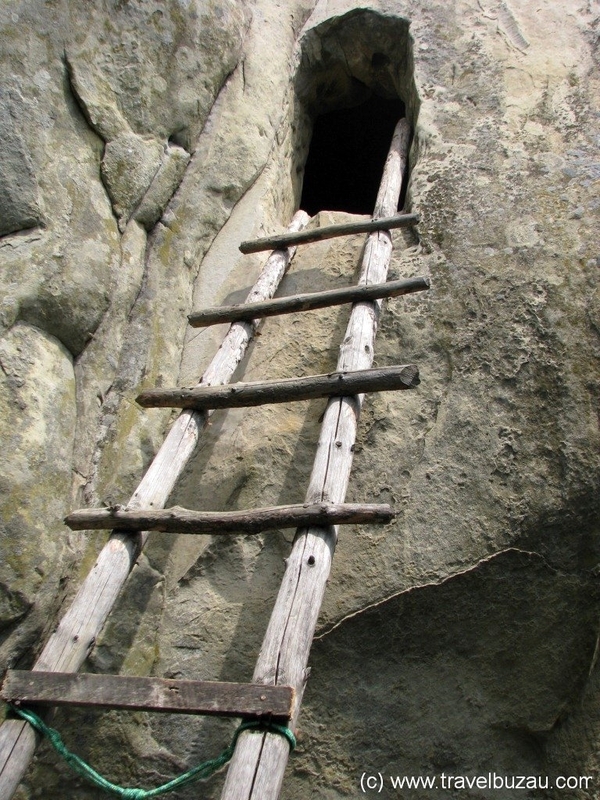 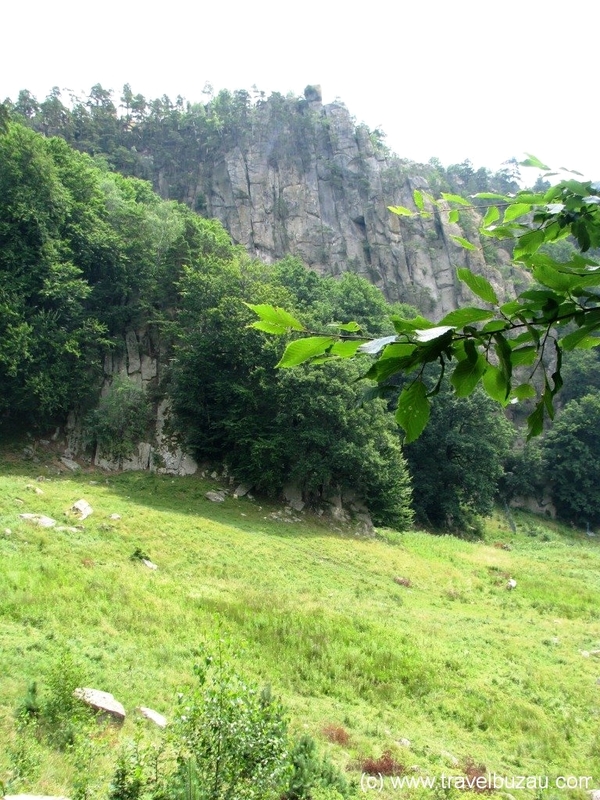 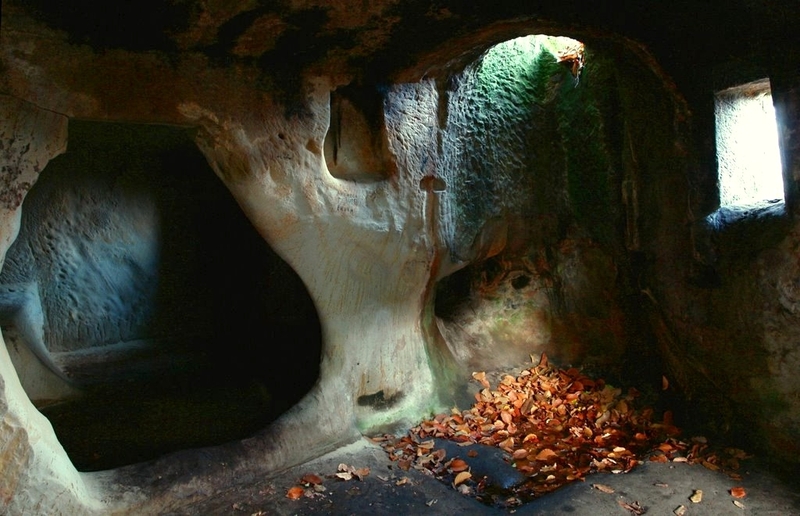 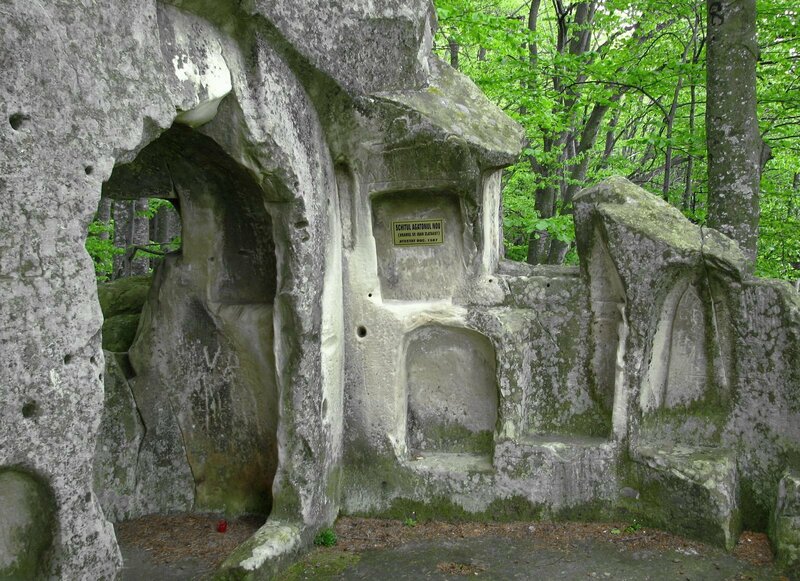 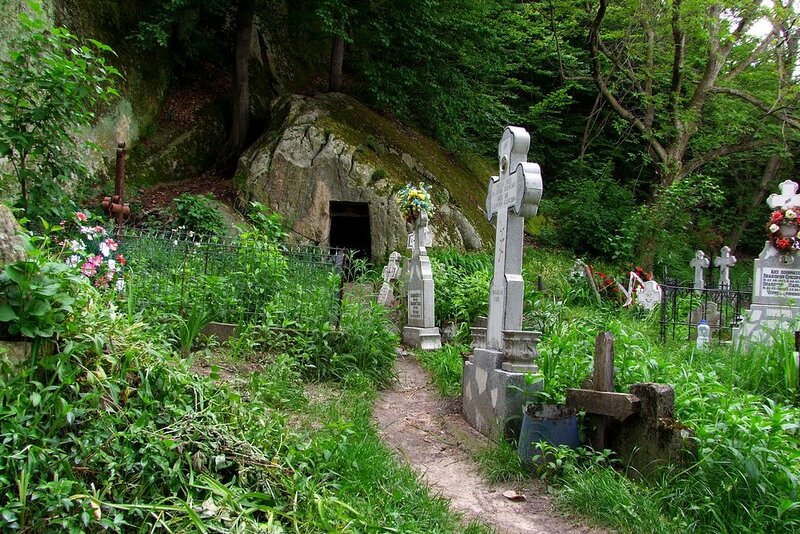 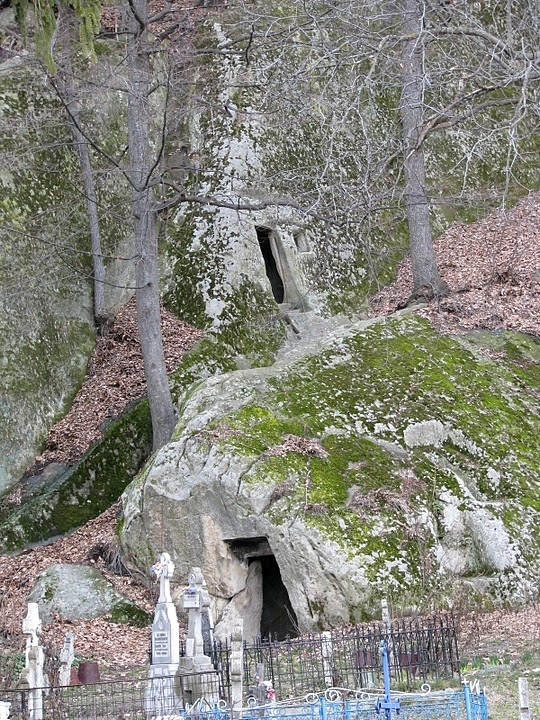 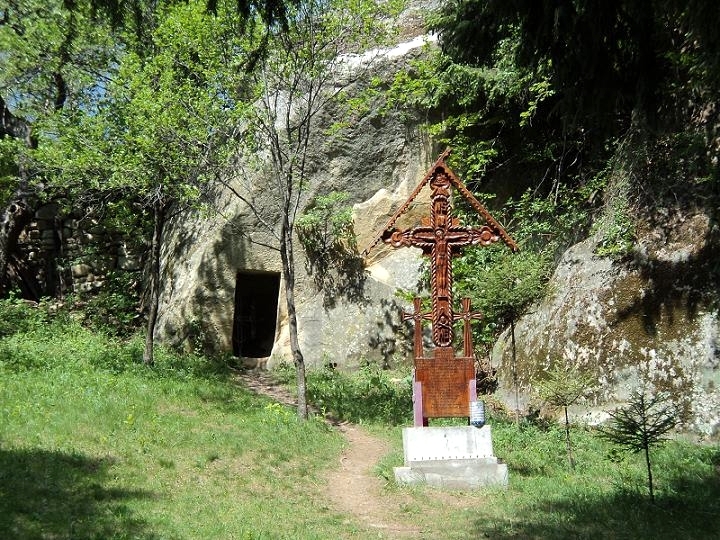 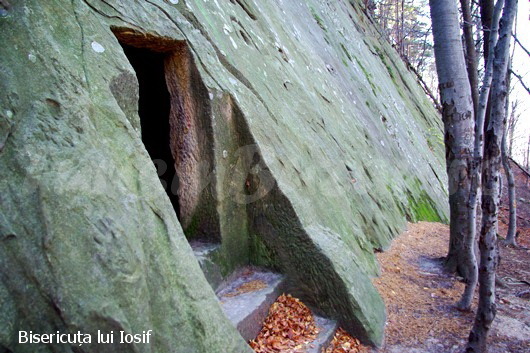 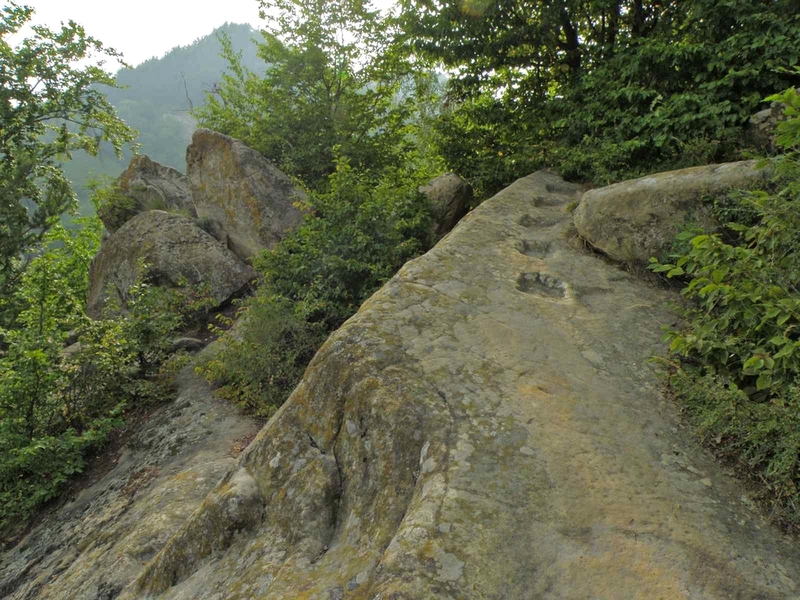 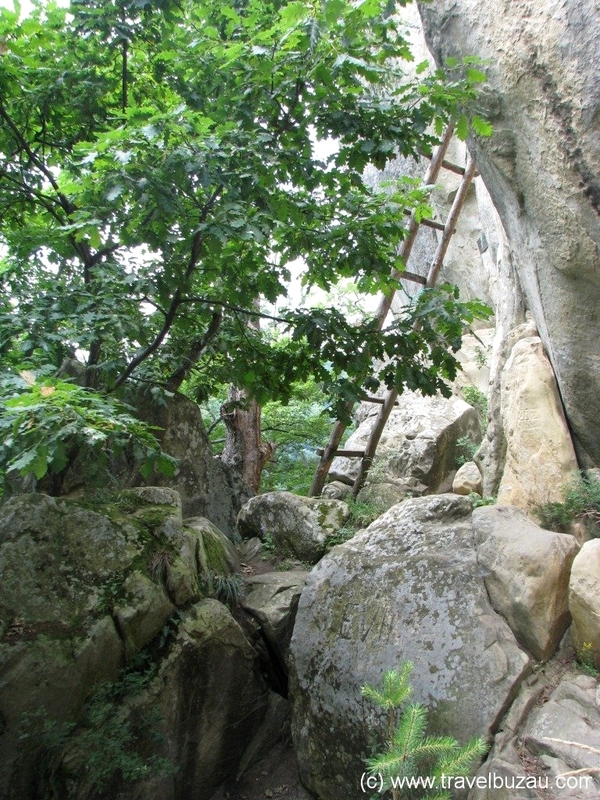 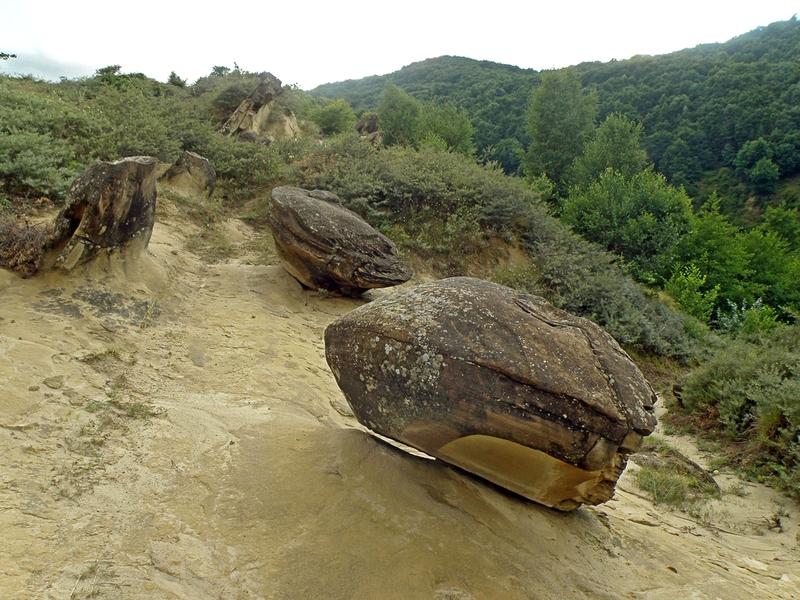 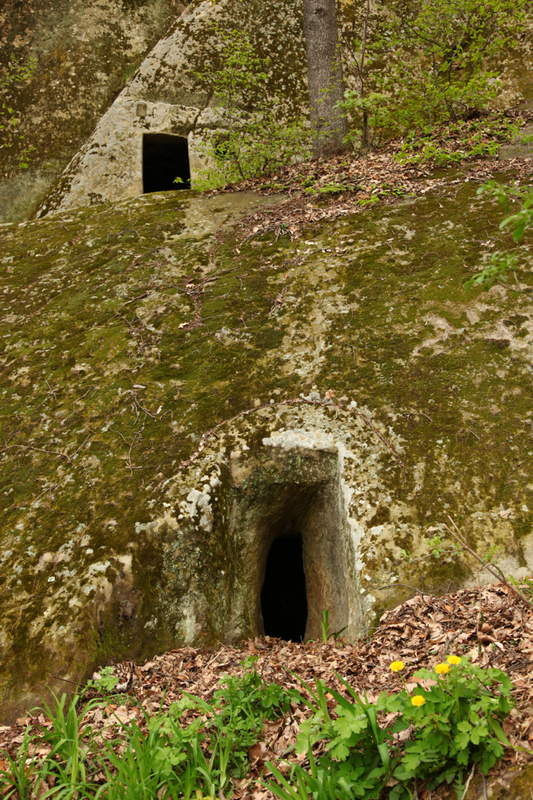 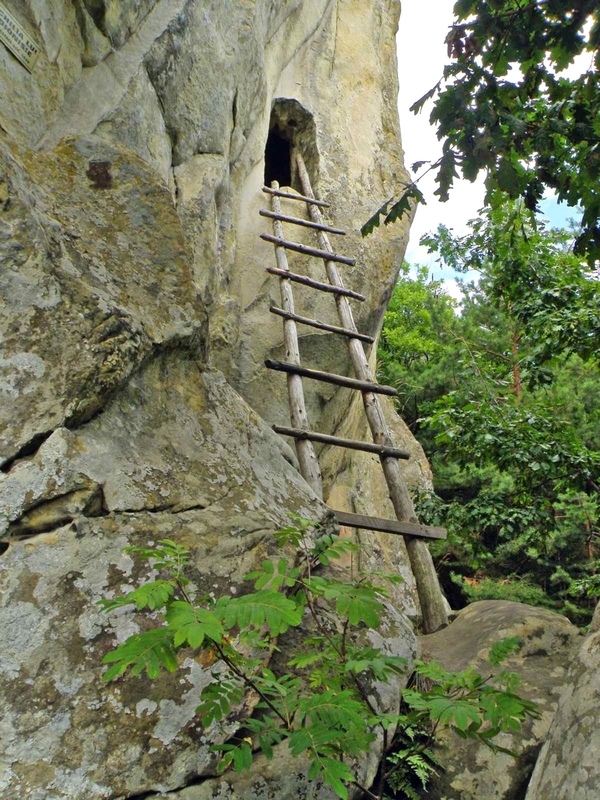 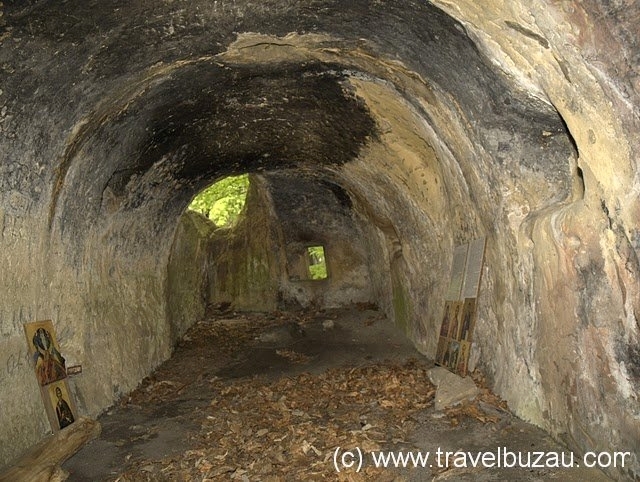 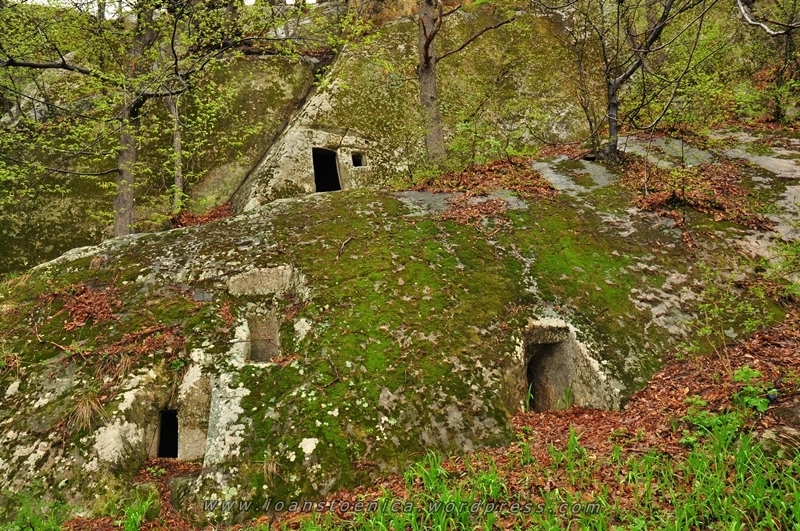 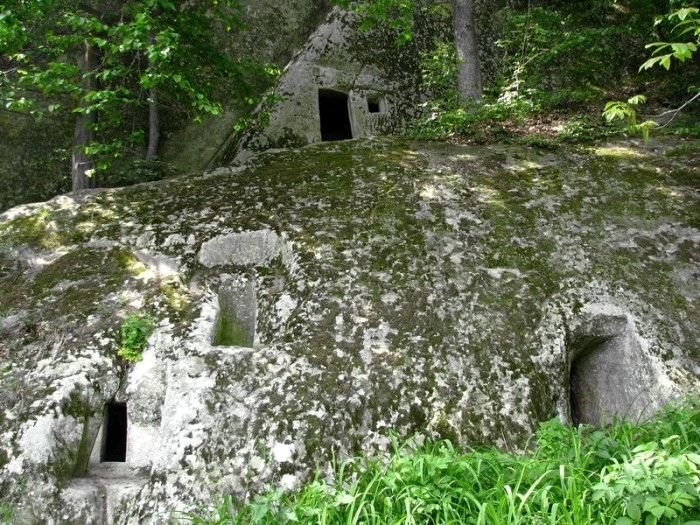 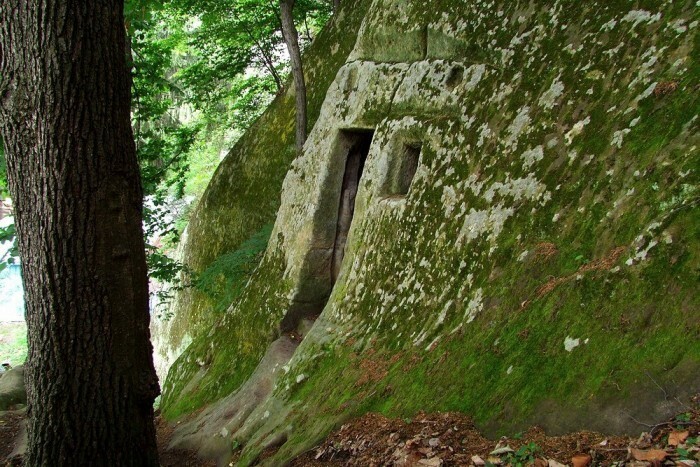 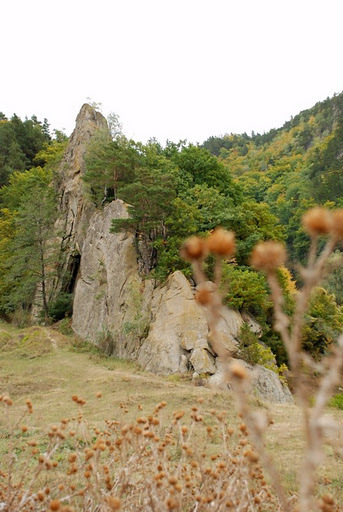 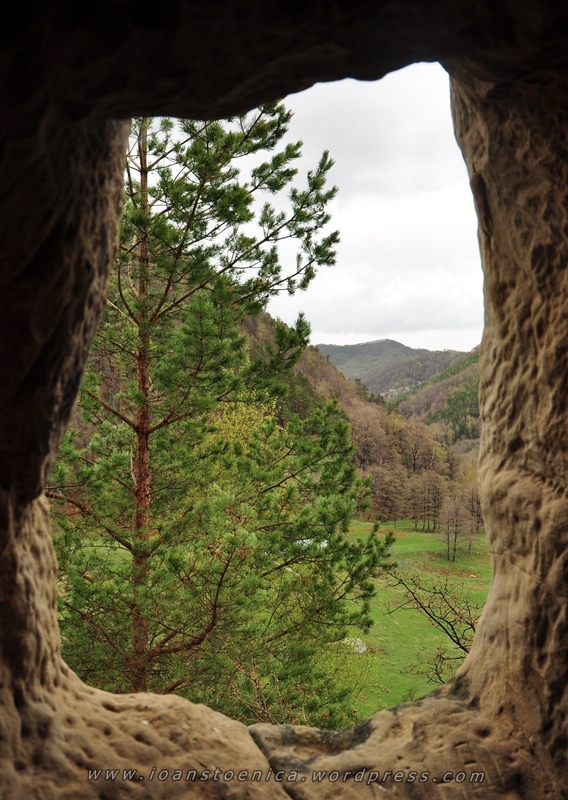 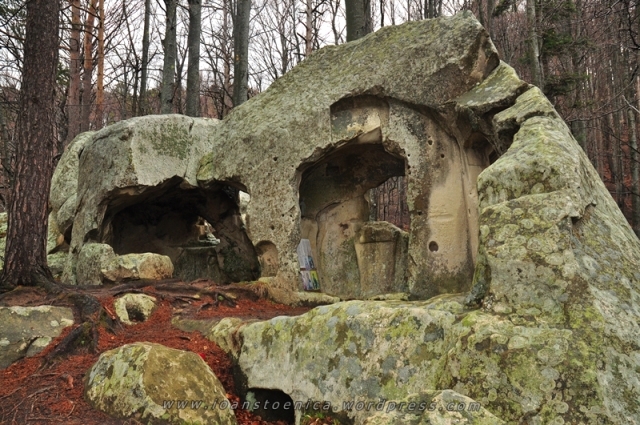 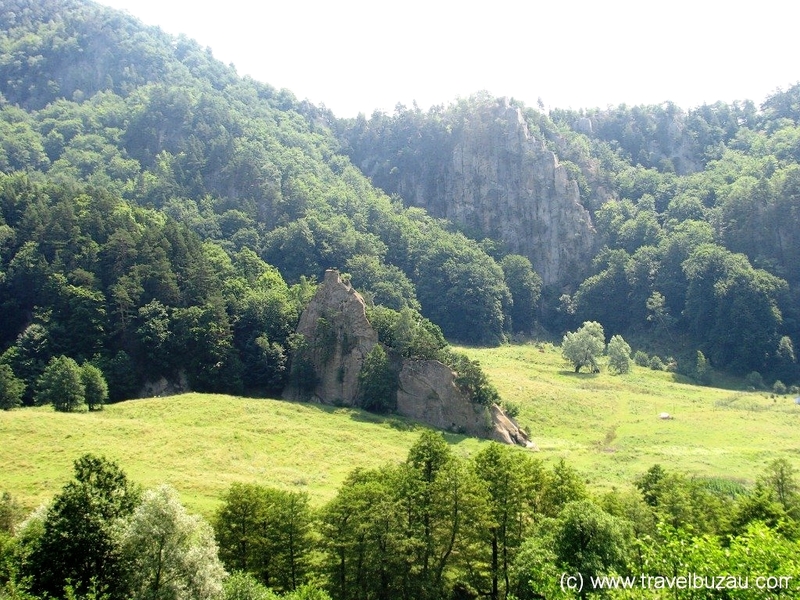 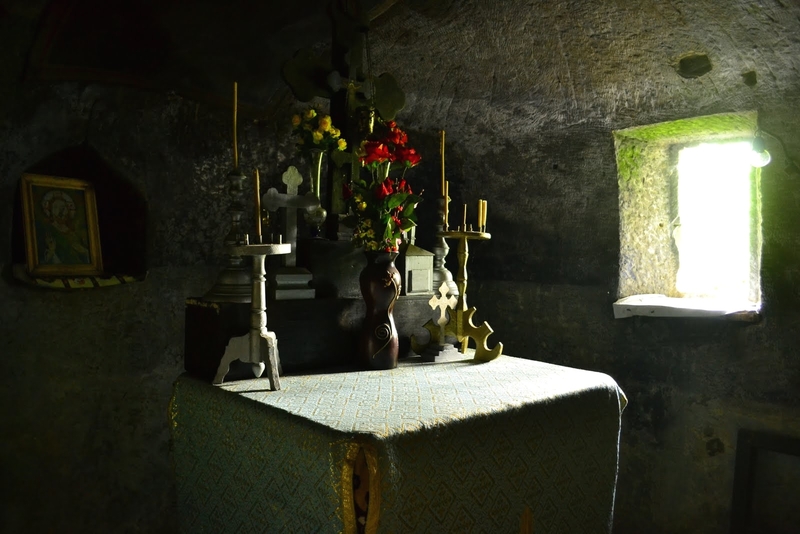 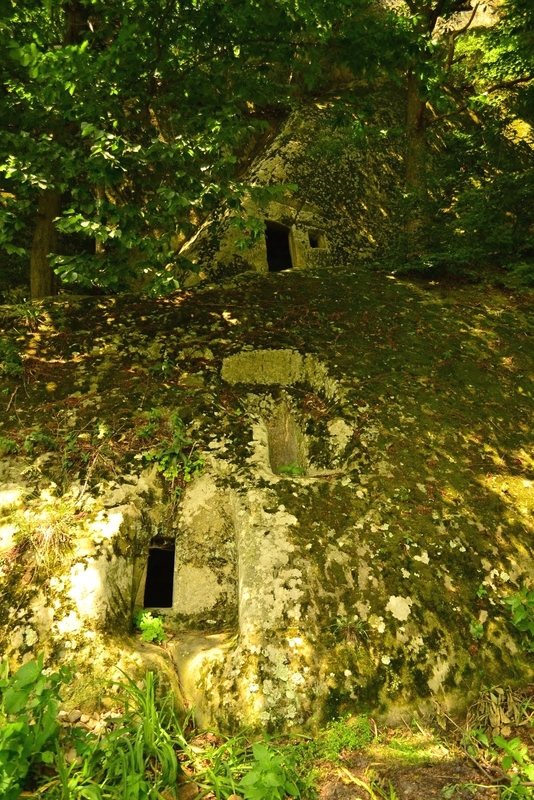 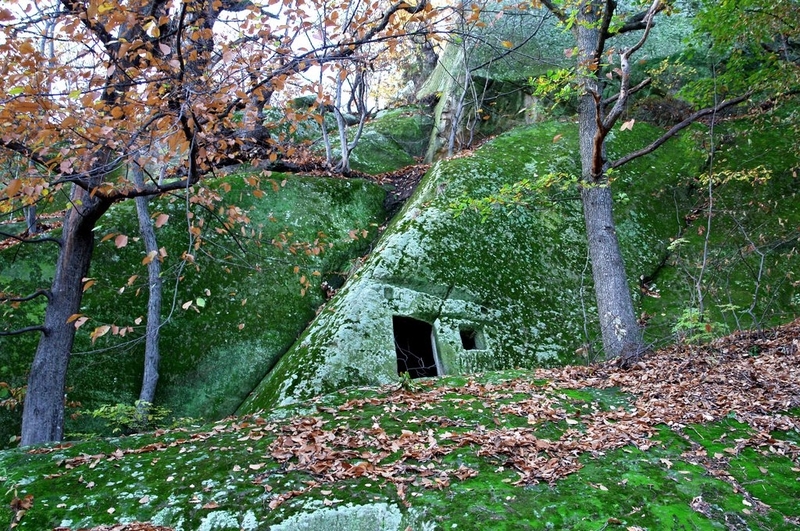 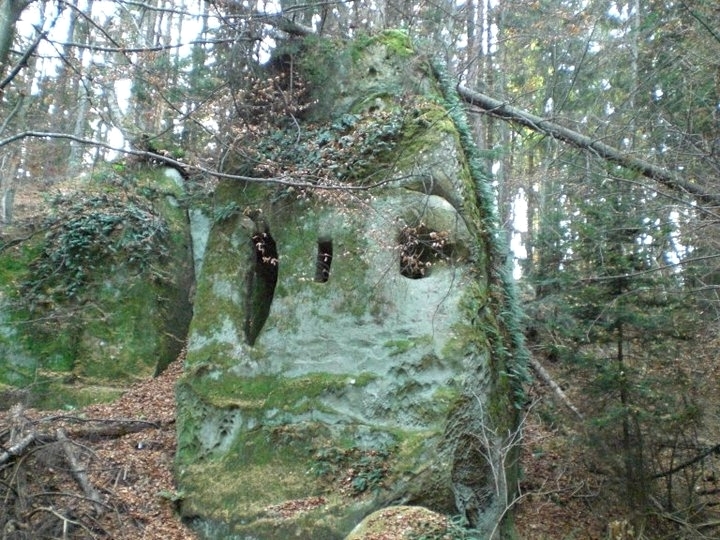 When the first Christians entered Europe in the III-IV century, they occupied these secluded hermitage caves in Buzau mountains, which in later centuries became hiding spots from invasion or persecution. 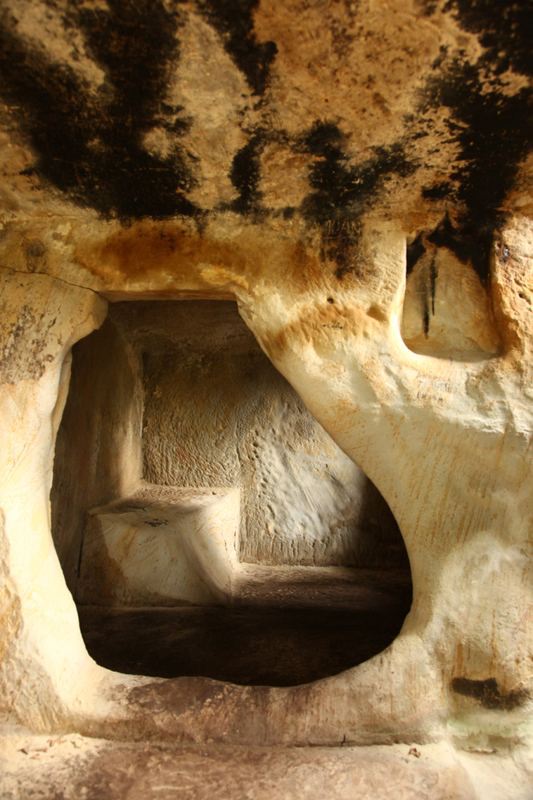 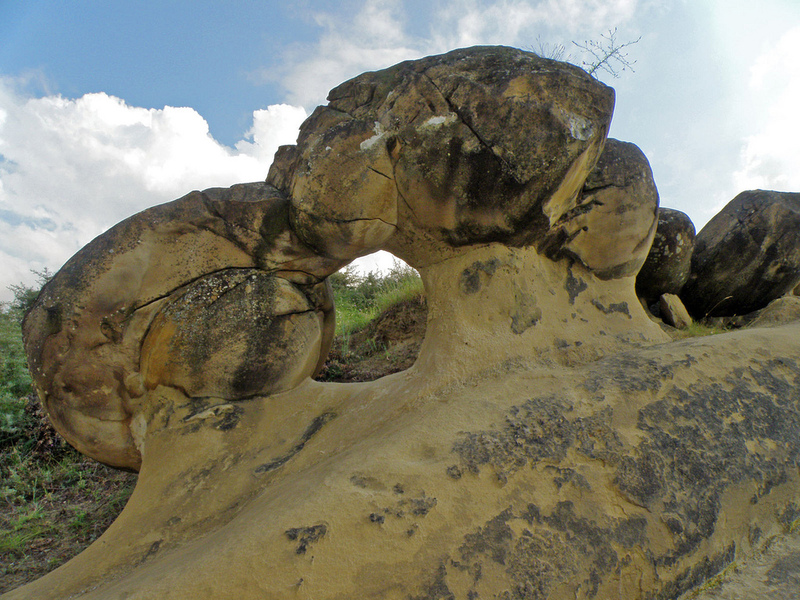 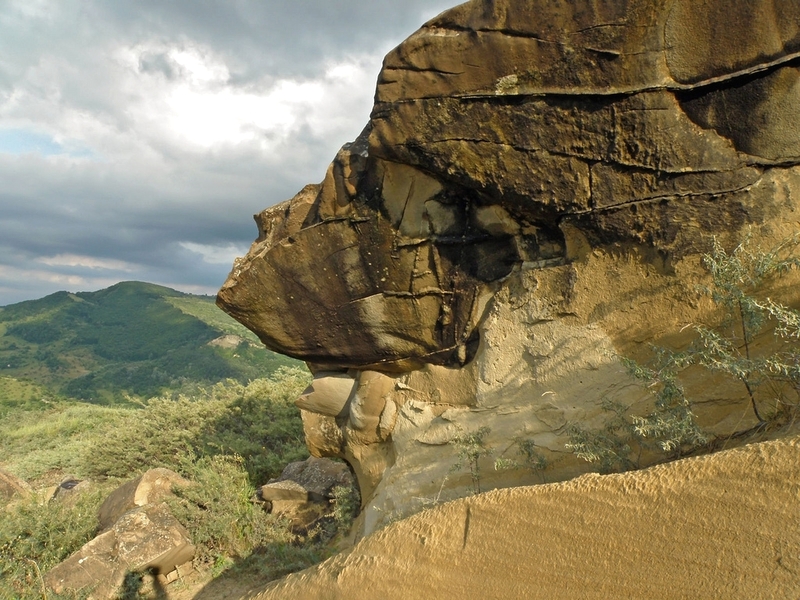 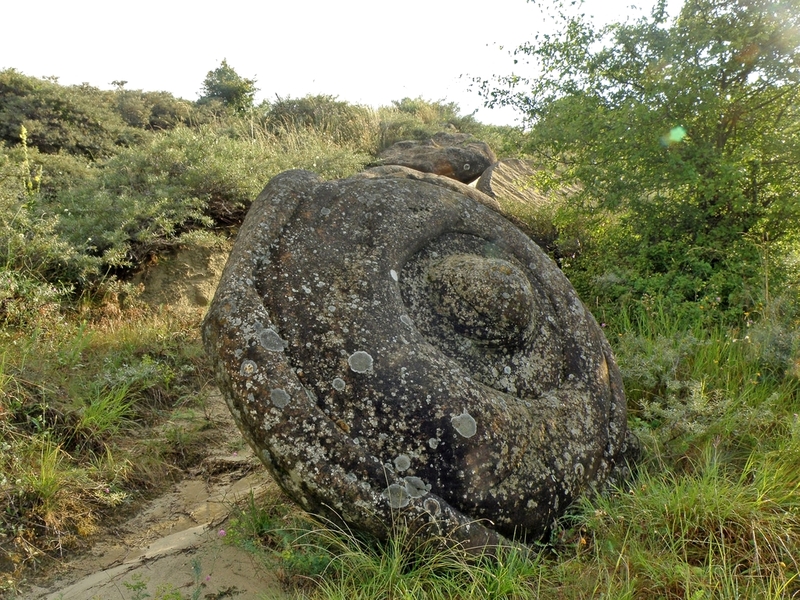 The caves are located on the territory that carries the name of Luana’s Land (Tara Luanei), situated near Alunis, Nucu and Colti villages. 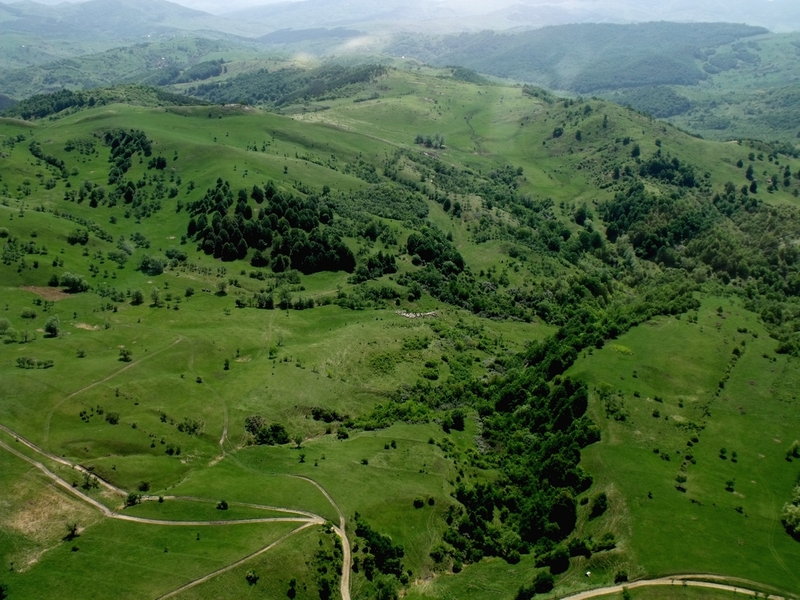 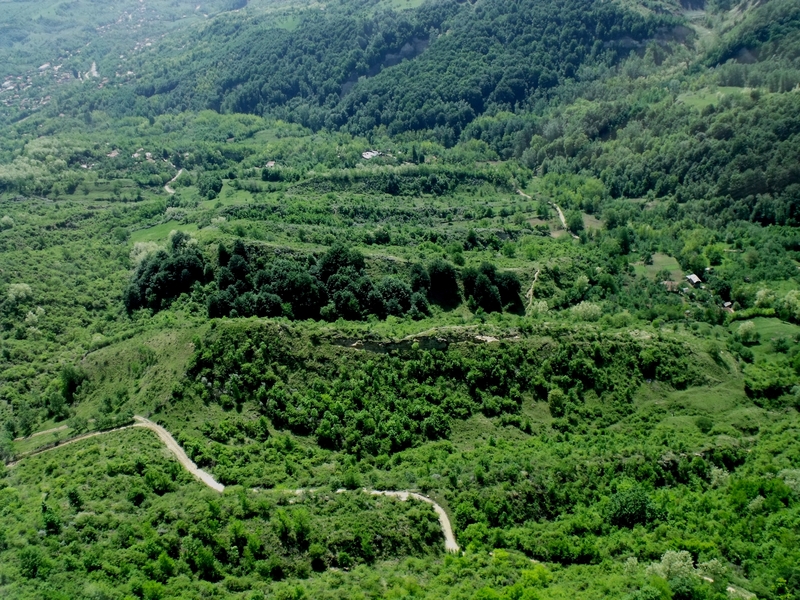 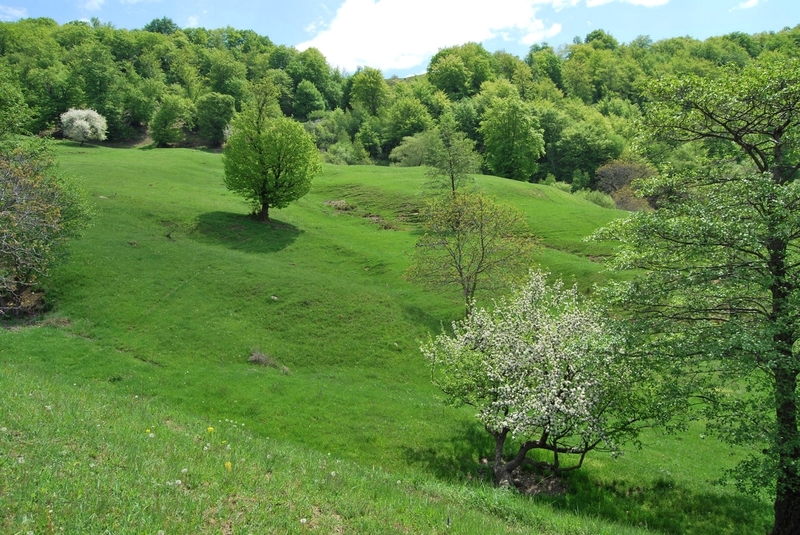 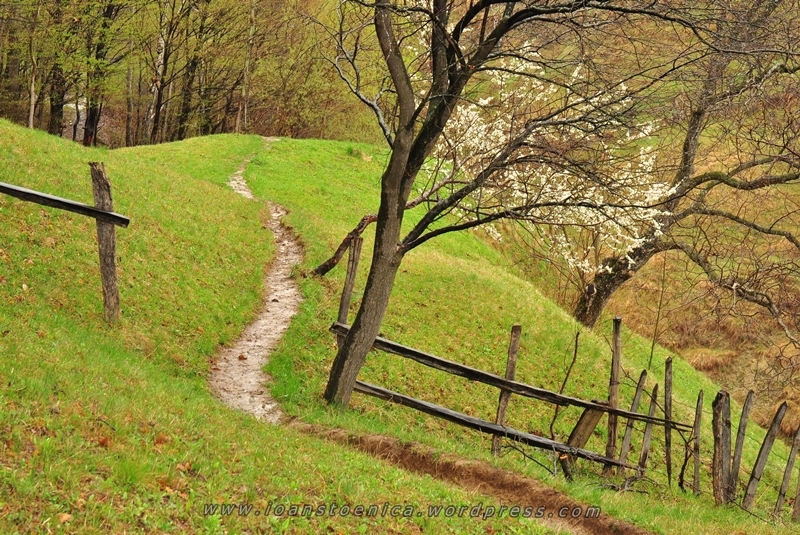 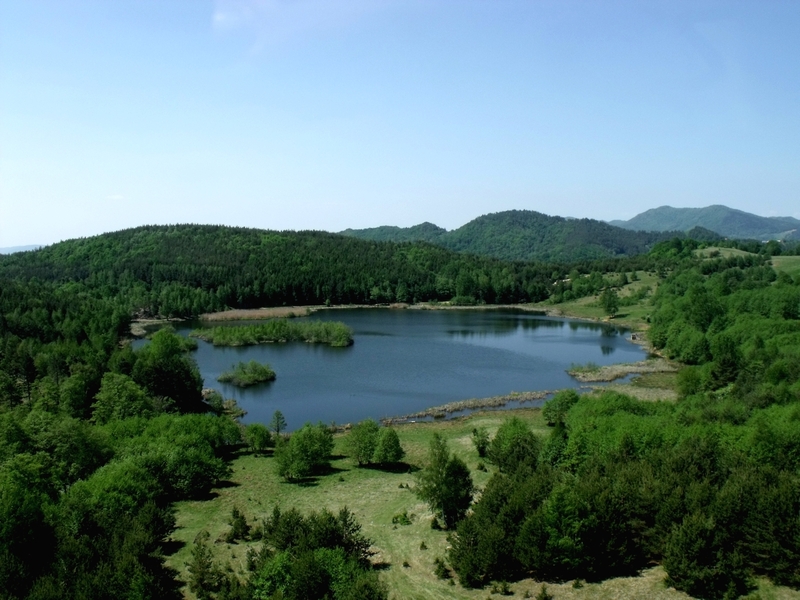 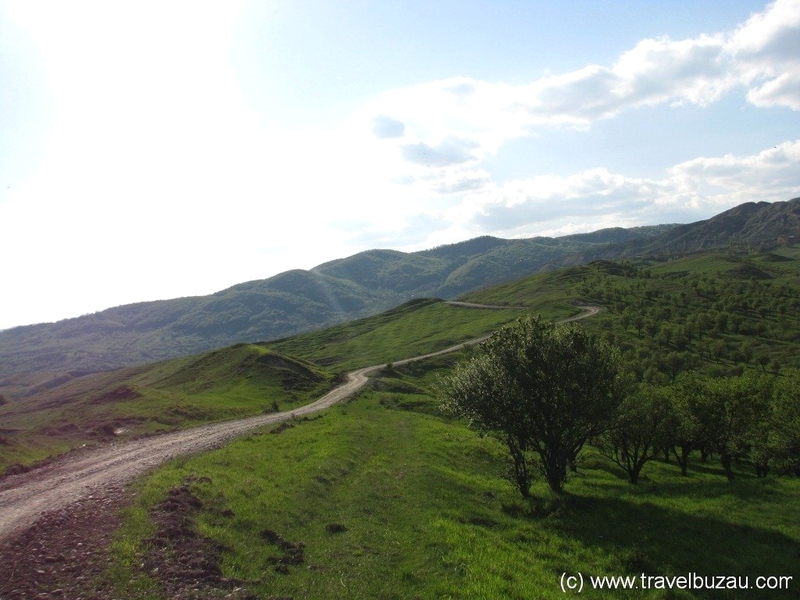 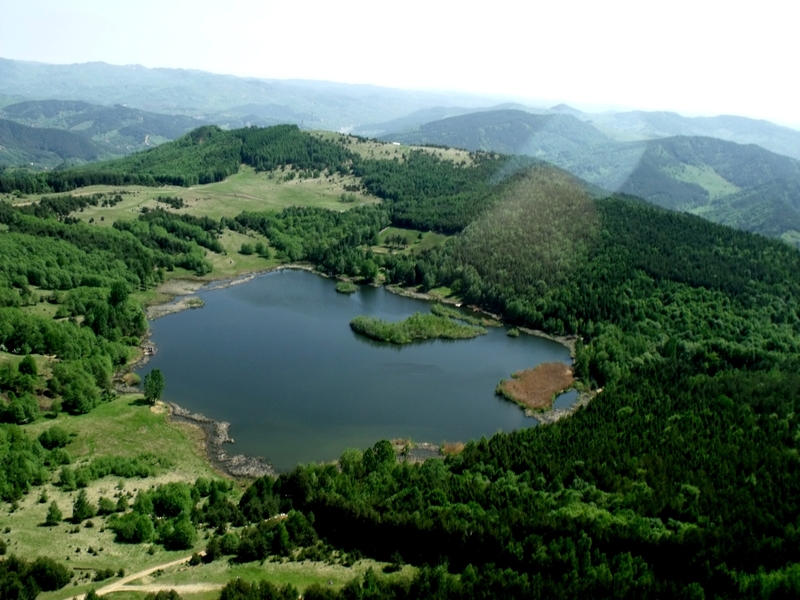 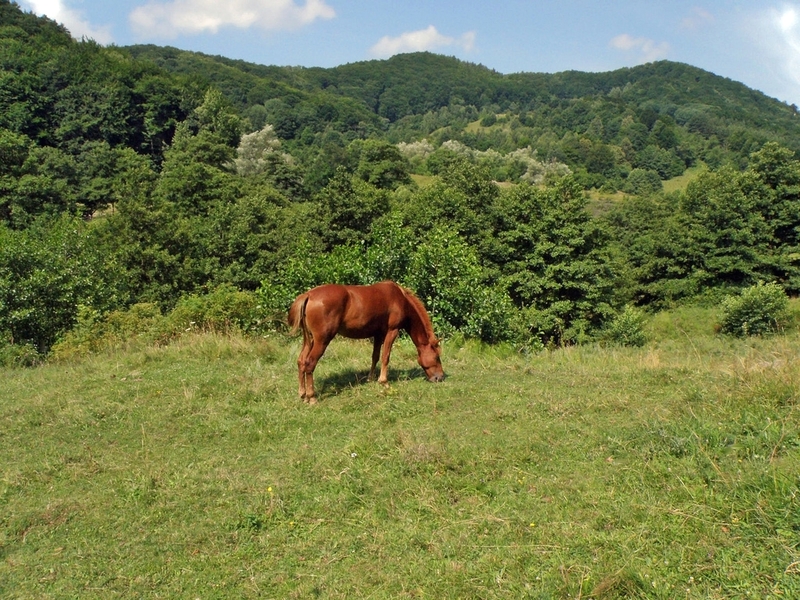 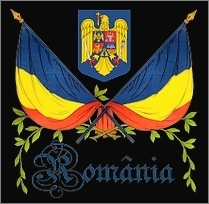 Buzau county has several other similar areas. 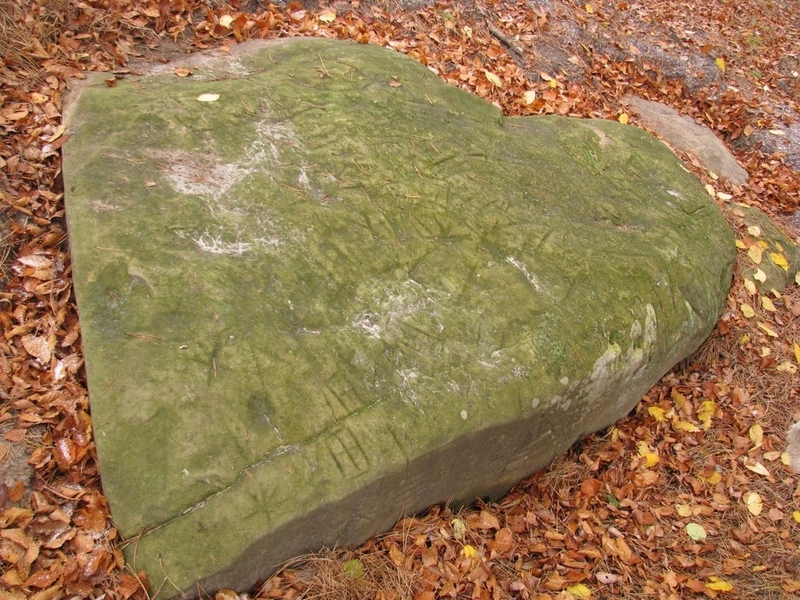 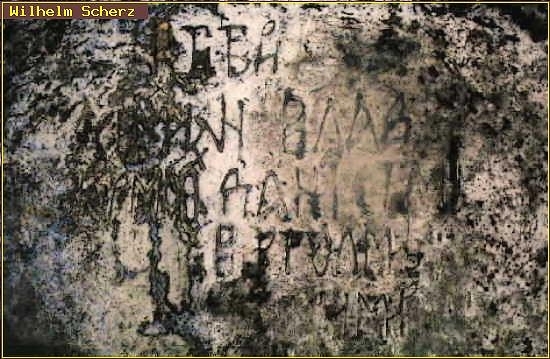 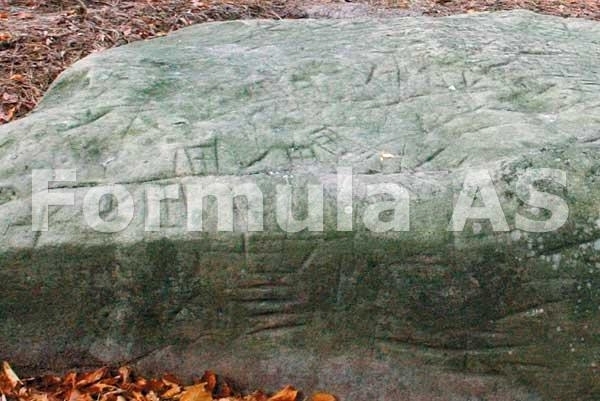 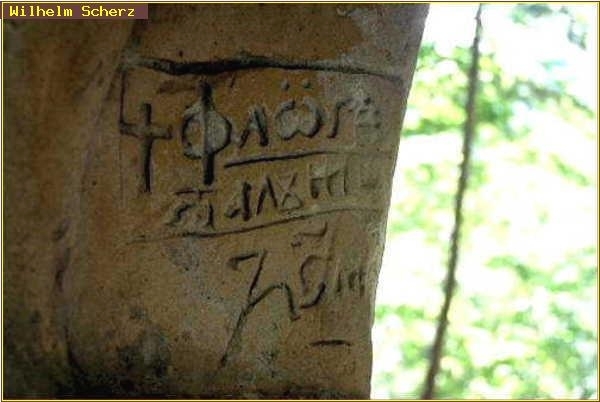 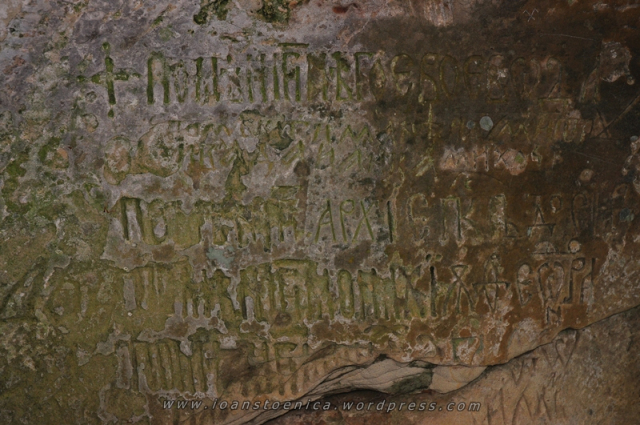 Many rocks and cave walls in Luana contain old writing and inscriptions which has yet to be fully deciphered – stars, solar signs, crosses etc but most likely are related to the old pagan beliefs.